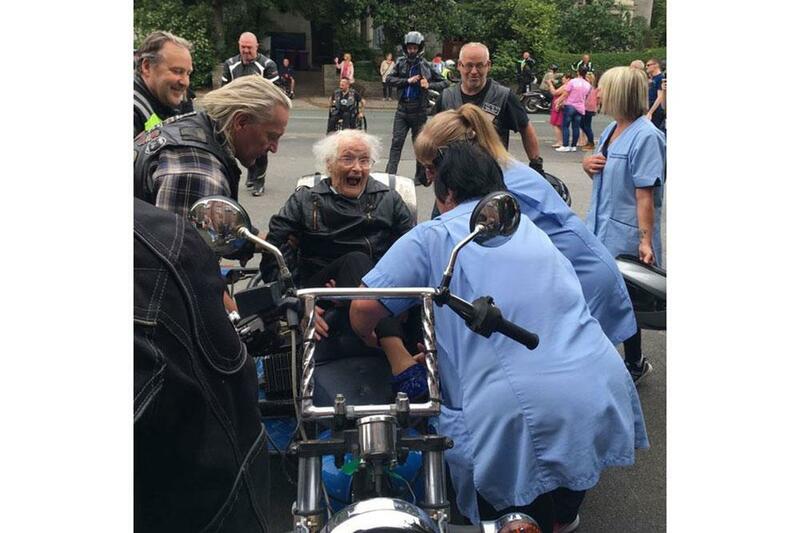 Maud Cartlidge, who celebrated her 101st birthday on Sunday was pleasantly surprised when she had the opportunity to ride pillion and lead a motorcycle convoy of nearly 100 bikes around Liverpool. 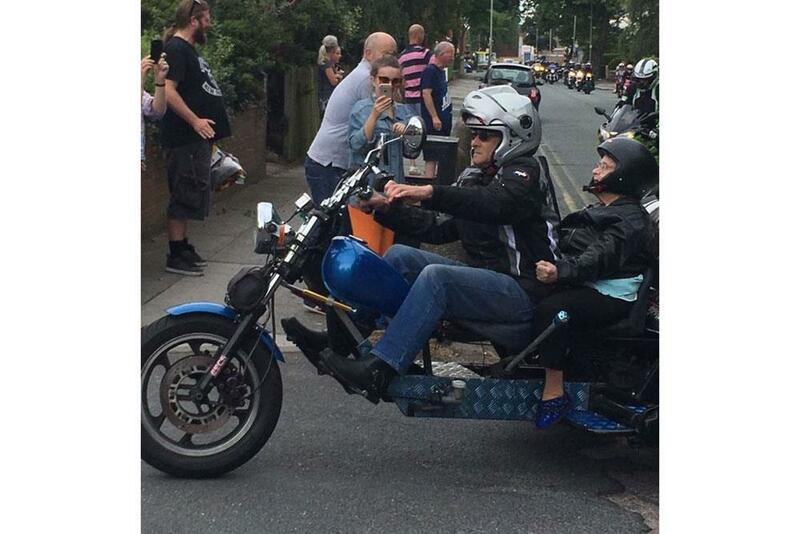 Dressed in leather, she was picked up at her care home in Orrell Park and was helped aboard a trike before heading out into the city. 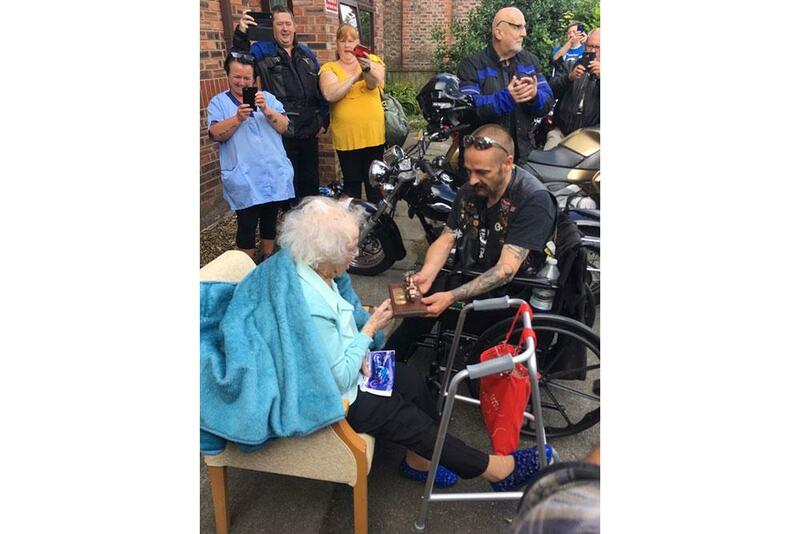 She was also presented with a motorcycle statue inscribed with 'Happy 101st Birthday' which Maud said she would keep in the lounge of the care home for everyone to see. 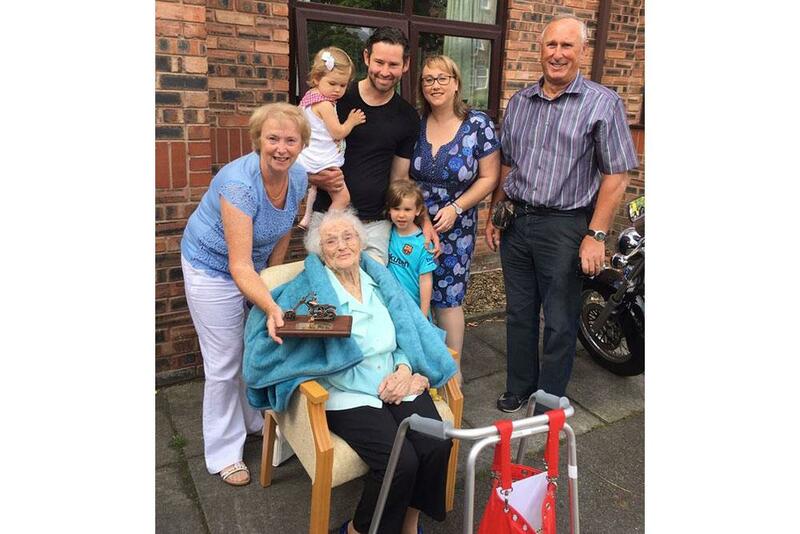 Born in 1916, Maud has three children, seven grandchildren and 19 great-grandchildren. She married her husband Eli in 1940 and for their silver wedding anniversary took a sidecar outfit to tour Norway. 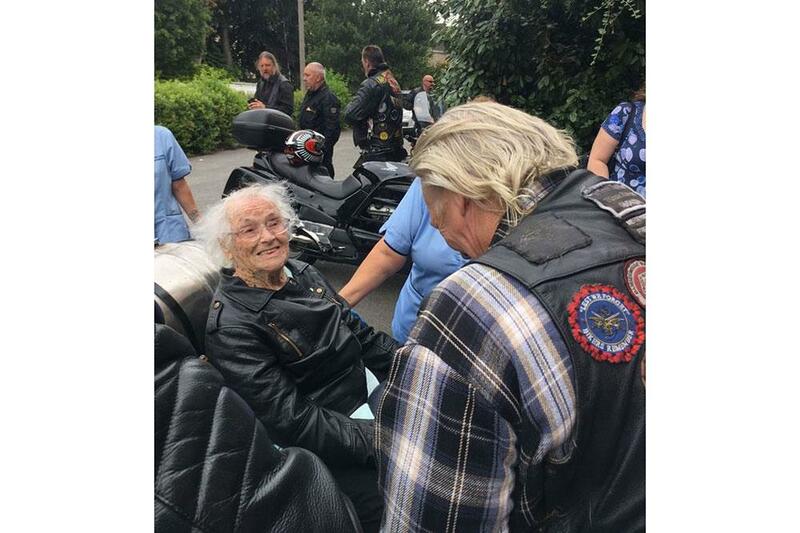 We wish Maud a very Happy Belated 101st Maud!